A walk along the Las Vegas strip allows its visitors to enjoy its many different architectures. In just a few hundred meters gamblers and tourists can have a tour of the Grand Canal in Venice at the Venetian Hotel & Casino, climb up the stairs of the Tour Eiffel at the Paris Hotel or visit the many district of New York City at the New York New York hotel. This architecture trend perfectly fits with the soul of a city like Vegas that aims at being a tourist attraction halfway between an amusement park and a shopping mall. It is hard too imagine those same hotels in the city centre of other destinations, they would’t just fit with the urban architectures around them. The city of Vegas has progressively abandoned this style that made it famous in the early 90s. The new hotels in town like the Aria, the Wynn and Encore are in fact closer, in terms of design, to the early 2000s style: glass and steel are the key elements of the skyscrapers reaching for the stars around the globe. However it seems that on the other side of the Pacific Ocean building copies of European and International destination is still a thing. 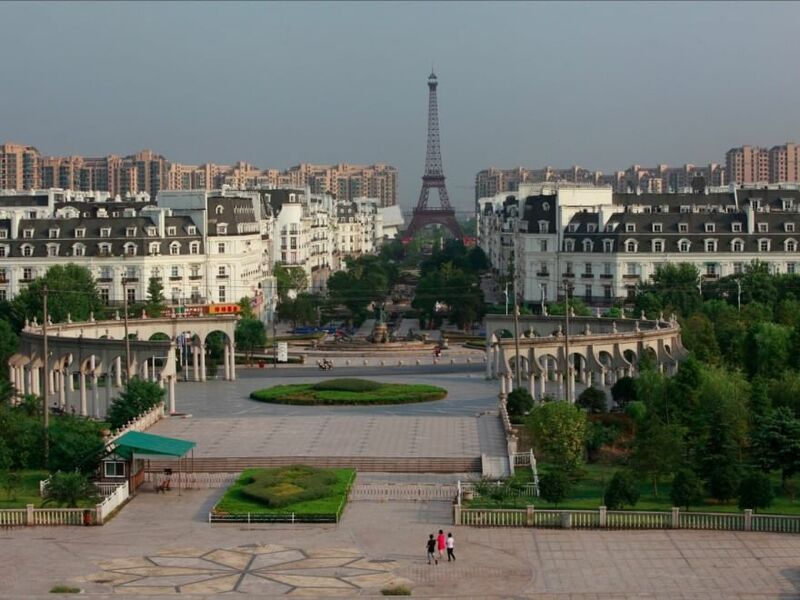 If you happen to vist the city of Tianducheng, a few hours drive from Shanghai in China you will find youself walking along the city streets of…Paris! The Chinese developers have copied every single detail of the French capital: from the fountains to the statues and of course the iconic Tour Eiffel, the second largest copy after the one described above. 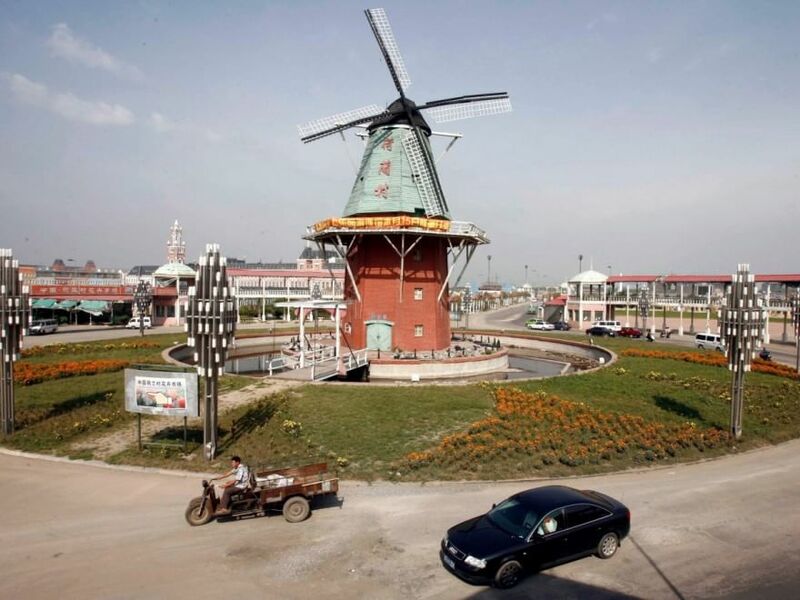 Beside Paris other cities have been a “source of inspiration” for the Chinese governement. 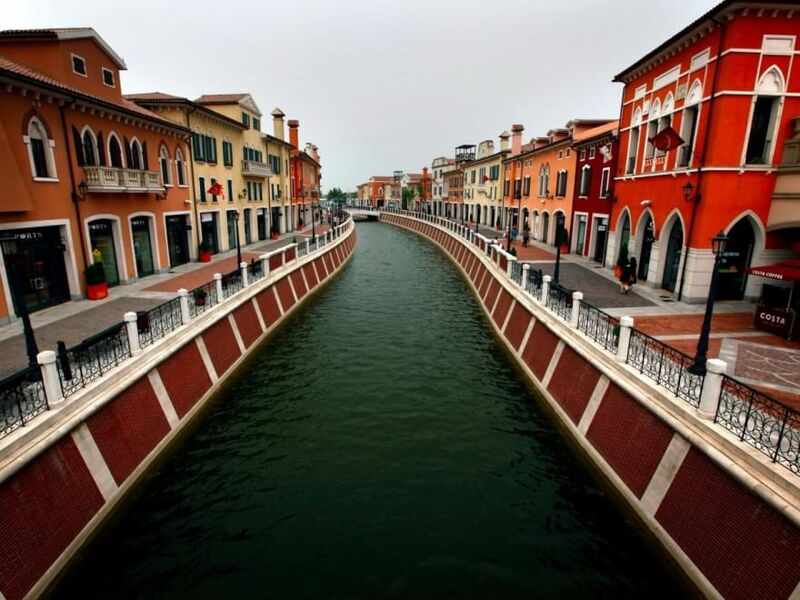 In Tianjin there’s a mall called “Florentia Village” that reflects the Renaissance architecture of the Tuscan city while in Sonjiang, on the otuskirts of Shaghai, it really feels like being in typical British village. The last city to be duplicated in the land of the rising sun is Milan. 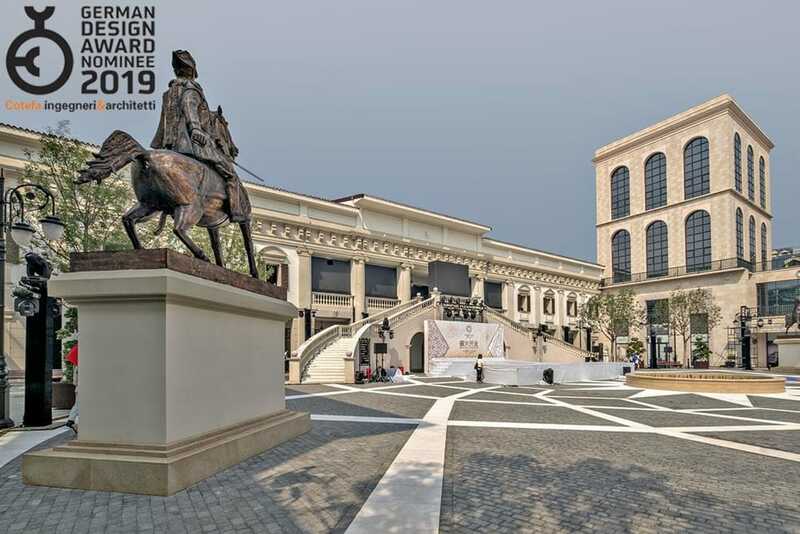 Well actually the whole project of a shopping mall inspired the Milanese architecture dates back to many years ago, but just recently the Chinese Milan has won a prestigious architecture award. 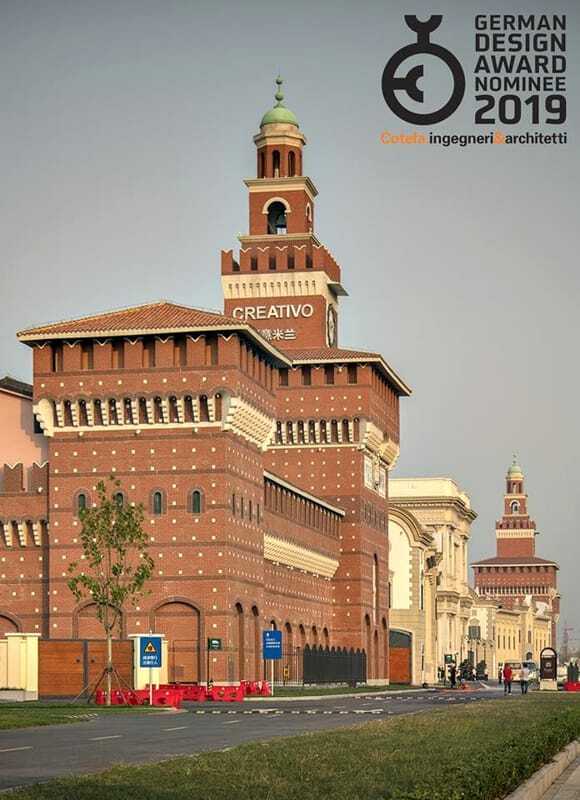 Cotefa, the Italian architecture and engineering firm, that has signed the whole project has been awarded with the “German Design Award Retail Architecture 2019”. 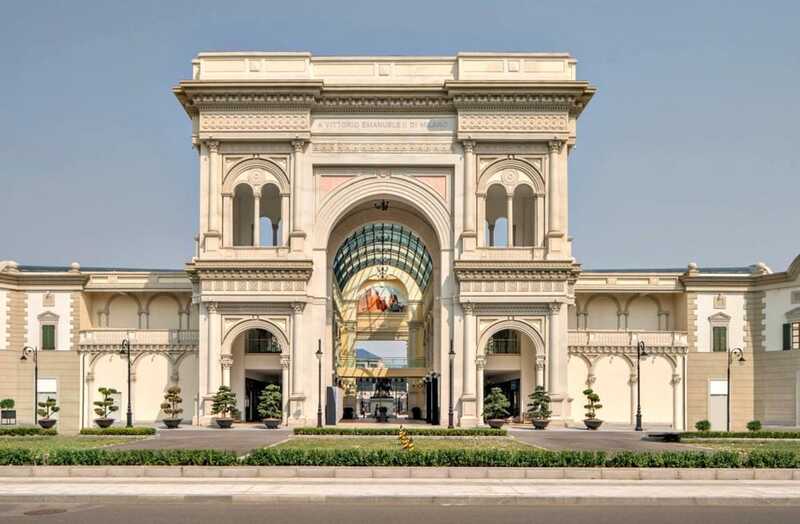 The decision depended on how the landmarks of the city of Milan like the Sforza Castle, the Galleria Vittorio Emanuele and the Palazzo dell’Arengario have been so meticously duplicated in this shopping mall 8.000 miles from Milan. 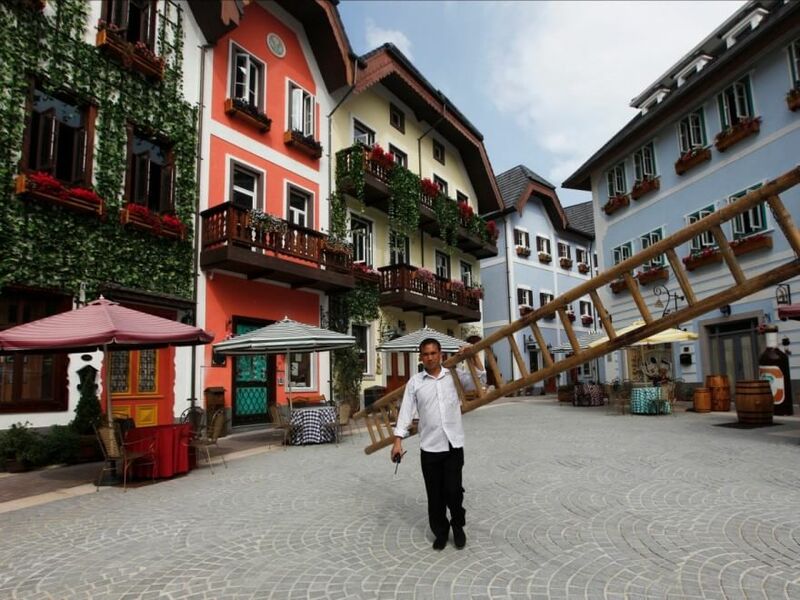 This architectural phenomenon has been described by Bianca Bosker in her book “Original Copies: Architectural Mimicry in Contemporary China” and named duplitecture. We will see how this phenomenon evolves and wait to know which is going to be the next city to be duplicated. *Pictures in this post are from the Cotefa website and/or available on internet. If you believe your rights have been violated contact us immediately.